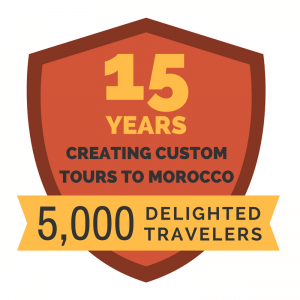 We just wanted to let you know what an outstanding experience we had touring Morocco with ExperienceIt. Everything went like clockwork with your tour – and when our flight from NY was delayed, the complete contact information you provided allowed us to let you know of our flight changes. Our driver, Namir, was outstanding. He was an excellent driver, considerate, thoughtful, and informative and candid about Moroccan life. We liked his suggestions for meals and eating in more simple establishments for lunch; he was willing to accommodate our requests, and was very concerned for our health and well-being. We really enjoyed spending the 9 days in his company. Our tour which covered the trip from Casablanca to Fes, then through the Mid Atlas down to the desert, and then back through the High Atlas to Marrakesh involved a lot of driving and time in the car. Namir was a great companion! The hotels selected were excellent; Les Belles Etoiles tent in the desert was a unique and once-in-a-lifetime experience. We were very comfortable and the meals we had in the tent (breakfast and dinner) were very good. We were really glad we chose to stay in more traditional riads in Marrakesh and Fes although it should probably be noted that the design of all the riads in general requires negotiating steep, sometimes curvy, stone steps that are not always the same height. Since my husband has difficulty in negotiating steps at times this could have been problematic; however, even if we had known ahead of time about the steps, we probably would have made the same choice because the riads provided such a “Moroccan” experience. 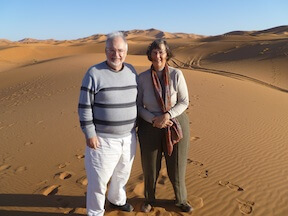 Georgina and Massimo at Clos des Artes in Marrakech were incredibly welcoming and informative – and the food was superb! Our guides in Volubilis and Marrakesh (Rashid and Saiid) were both outstanding. Mr. Saiid gave us a comprehensive survey of Moroccan history that was amazing in its depth while at the same time coherent and understandable. Rashid’s enthusiasm and evident love for and knowledge of Roman/Moroccan history was contagious and his sense of humor very engaging. Mr. Mohammad in Fez was also very good, bringing together in a wonderful compilation the related histories of Spain and Morocco, as well well as Judaism, Islam and Christianity. One thing that would have made our trip even more valuable would have been a bibliography or reading list of either books or internet articles on Moroccan life, history, and food to supplement the information you provided. We love experimenting with new foods (and we’re really sorry we had to make the choice between Volubilis and the cooking class!) 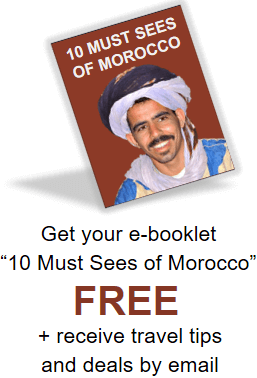 but again it was hard to find reliable information on Moroccan cuisine before we went. I always like to read books about places we are visiting, particularly understanding the history and cultural makeup of a country. 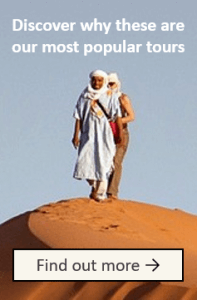 It is really hard to find information about Morocco that is reliable. I was reading the book The Storyteller of Marrakesh by Joydeep Roy-Bhattacharya which is set in the Jemma al Fna in Marrakesh and brings in all elements of Moroccan society and life from all over the country. It was a wonderful book to complement the trip. Thank you for a wonderful experience – we feel like we’ve barely scratched the surface of Morocco and would love to return to see more of the country, spend more time in Meknes and Rabat and take a cooking class. 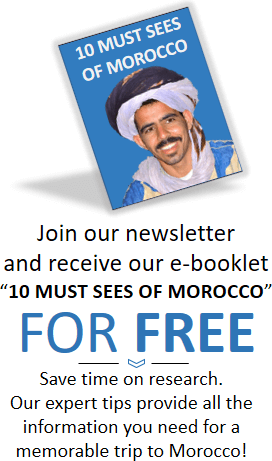 We will certainly be recommending Morocco and ExperienceIt to our friends and family as a unique and exciting place to visit!